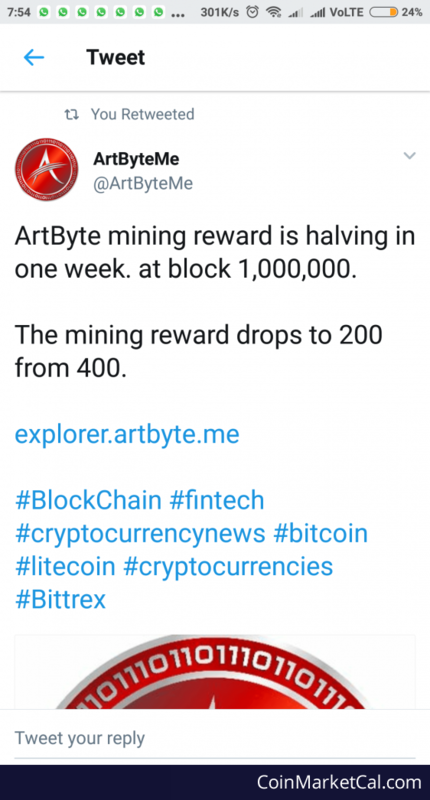 "ArtByte mining reward is halving in one week. at block 1,000,000. The mining reward drops to 200 from 400."